This is a compilation of the first twelve Free Nightmares. This Book includes the stories: A Paralyzing Sting, Psychopath, Sacrifice, Darkness, Ouija, The Doctor, Bugs, The Cemetery, The Final Stone, Bobby (A.K.A. The Psycho’s Son 1), Amnesia, and Awaken. Also included is a sneak peek at the second story in The Psycho’s Son series- Bobby’s Debut. 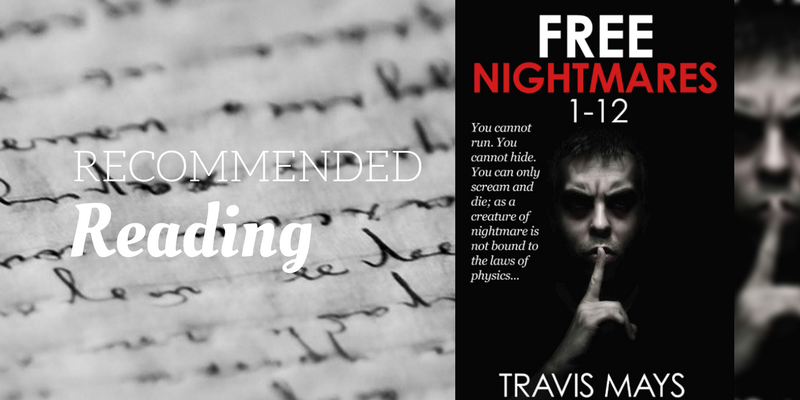 Free Nightmares: 1-12 is available here. Travis Mays is an indie-author who lives in the woods. He is a writer of fiction (horror books and short stories) as well as some nonfiction.